Slowly but surely, writing for Nerds on Earth is evolving from simply being among my hobbies to actively feeding my hobbies. In some instances that comes at a cost. For example: I drop $69 a year on the Marvel Unlimited app so that I can write the occasional review, lend a voice to our Lists of 7, and, most notably and frequently, field derision from Jason and Clave for being naive in my selections and opinions in said lists. 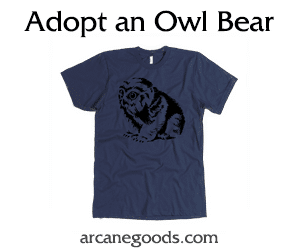 With the posting of our first ever Nerd Alert! – my review of the fantastic collection that is War Stories – came my new favorite perk of this labor of love: Authors sending me books for review purposes! 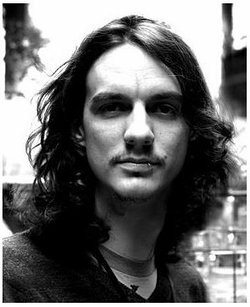 Aidan Moher was the first to do so with Tide of Shadows, and as a result of reading that review, author Bryan Perkins contacted me and turned me on to his new novel The Asymptote’s Tail. The narrative develops from seven unique points of view and protagonists ranging from an android to a kitty cat; most of whom are ignorant of the world in which they live (the cat, ironically, not being among the ignorant!). But is their ignorance bliss, or is there something sweeter? Conversely: Is the world they know as innocent as it seems, or much, much darker? Each of the seven characters are given three chapters and their stories unfold and interweave cyclically with overlap and recapitulation aplenty. Think along the lines of a batting order: You run through the line up and then return to its top. The narrative really hits its stride on the second cycle when you are able to connect some of the dots from the preceding chapters and even anticipate future ones. If you’ve ever seen the movie Crash, it is structured similarly. What could initially be mistaken as several isolated stories come together beautifully at the end – answering some questions while asking still more. The novel smacks of Orwell’s 1984; a parallel not lost on or unintended by Perkins, who cites it among his inspirations. There is a malicious governing force at work controlling not just information but also those who possess it…Or so they think. A little censoring here, a touch of propaganda, priming, or misinformation there…As The Asymptote’s Tail progresses, you’re given hints as to the existence of the proverbial wizard behind the curtain, but I believe there’s more yet to be revealed. And I for one am burning with questions! There are lots of book club discussion fodder here on topics like class systems, privilege, consumerism, rights, the possession and availability of information, ignorance, and more. I’ll be turning others in my circles on to the book just so we can have the joy of comparing notes and hashing out opinions and perspectives both from the novel’s world and our own. The Asymptote’s Tail is the first in what is to be a series of four entitled Infinite Limits, and it does a fantastic job of forging its own unique world and setting itself up for future works replete with the unresolved and curiosity piquing. And this is accomplished within a single work that finishes well; striking a solid balance between what is accomplished and what is yet to come. Sure, you could read it without the knowledge of or need for future sequels, but I’m not sure how. Even apart from Perkins’ promise of a yet-to-come story at the end of the last chapter and the explicit “End of Book One” just a few sentences beyond that, the world itself is rife with questions that left me somewhat wishing I weren’t getting in on the ground floor of this series! I mean, when I turn the last page of one of Robert Jordan’s Wheel of Time books I have the luxury of being able to immediately pick up the next. With Infinite Limits I have to wait, but book one gave me no reason to believe Perkins can’t deliver. The Asymptote’s Tail is the beginning of a very promising sci-fi epic that you’ll not want to miss. As Bryan Perkins continues to build out his world and the characters therein, I will be there. The foundation has been laid for what I have every reason to believe will be a series of note. 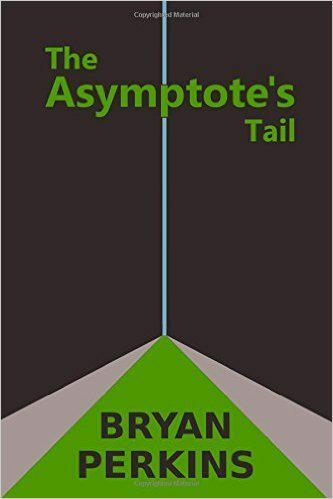 Available through Amazon by way of Kindle ($5) or paperback ($13), The Asymptote’s Tail is a worthy addition to your digital or analogue library. And as the story continues, we hope to host subsequent and equally positive reviews for the rest of the Infinite Limits series here at Nerds on Earth.